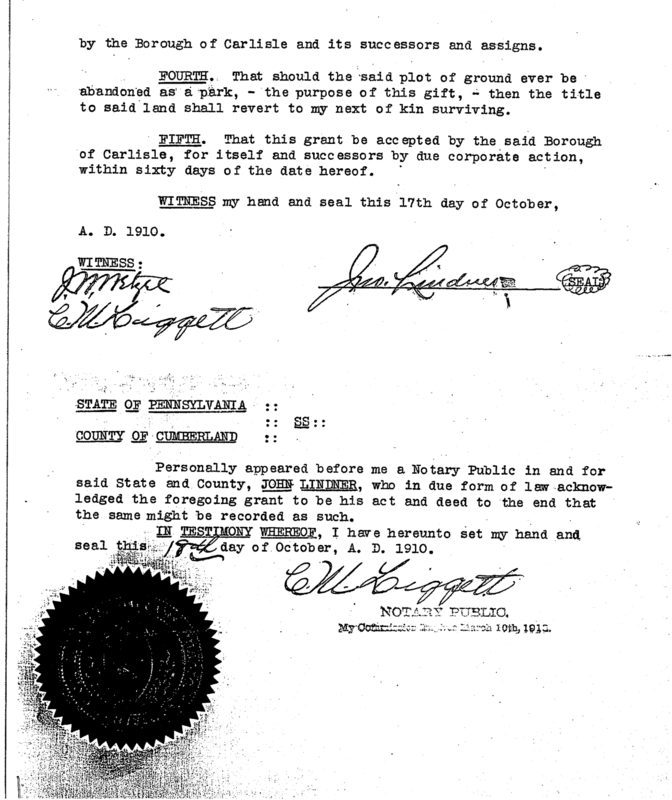 The deed to Lindner Park was signed by John Lindner in 1910, which specifically states in one of its conditions “that no buildings or obstructions shall be erected thereon”. 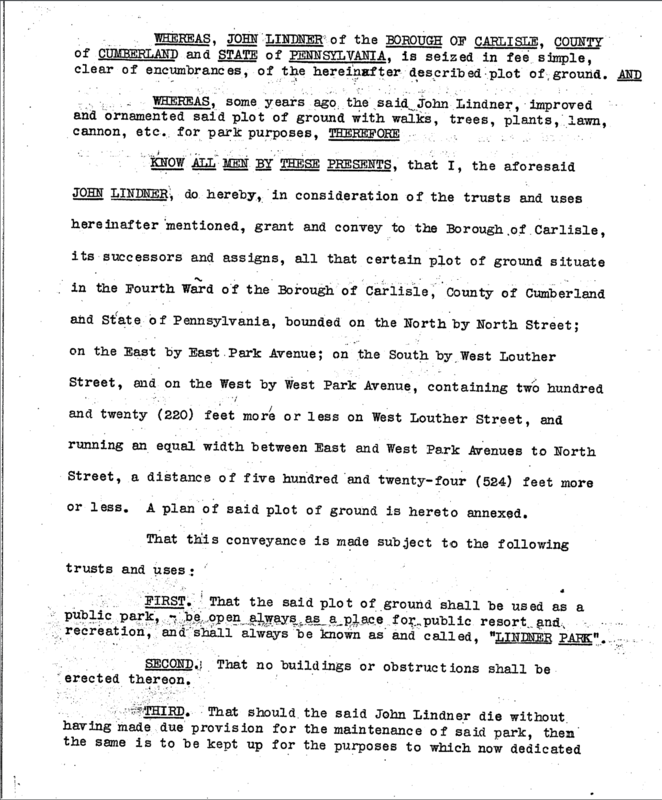 In respecting this deed and the vision Lindner had for the land, the County of Cumberland has no future plans for adding any major infrastructure to the area. As of now, the park contains a playground set and a basketball court, to be used for recreation and play. According to Andrea Crouse, director of the Carlisle Parks Department, the only plans for the park are to keep up with weekly maintenance and to continue to put in new mulch each spring.